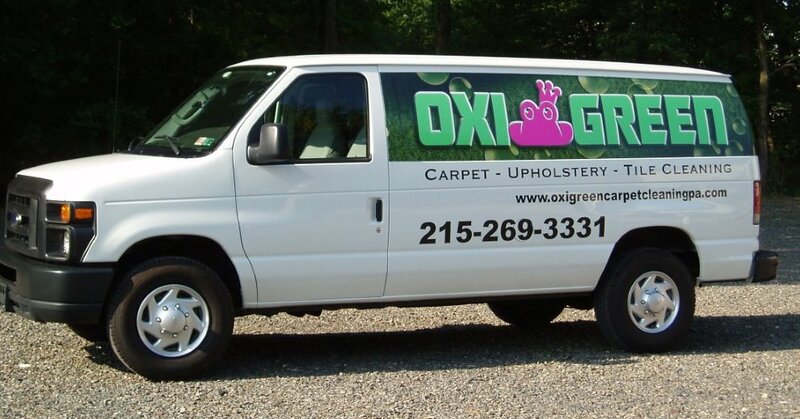 OxiGreen Carpet Cleaning in Langhorne, PA offer very affordable carpet cleaning specials that we would love for you to take advantage of! At OxiGreen, we offer a $99 special that includes 2 rooms and one hallway. This is the perfect special for a small apartment, condo, or even a larger house with a majority of hard wood floors and limited carpeted area. When OxiGreen’s skilled service technicians arrive, we will pre-vacuum the area, moving any light weight furniture that needs to be moved. We will do a thorough carpet inspection, checking for spots and stains which may need to be pre-treated. Using our state of the art, truck-mounted carpet cleaning equipment, we will provide a deep carpet cleaning, removing the debris that is caught deep in your carpeting. Dirt, bacteria, mold spores, dust mites, and other potential allergens will be removed, right along with 98% of the hot water used in the carpet cleaning process. We will leave you with fast drying, clean and wonderfully fresh carpets that you will enjoy. Before leaving, OxiGreen’s carpet cleaners will do a quality control inspection, making sure the carpets are clean to our satisfaction and yours. If for any reason you are not completely and totally happy with our service, we will make it right before we walk out the door. That’s our 100% satisfaction guarantee to you! If you are interested, for a small charge you may add a 3-M Scotch Guard treatment to all 3 areas, which has been proven to resist dirt and prolong the clean looking appearance of your carpeting. Why not give OxiGreen in Lanhorne, PA at call at 215-269-3331? We will be happy to answer questions, give you a free quote, or schedule a great carpet cleaning appointment for you today. Become one of our satisfied repeat customers. You’ll be glad you did!